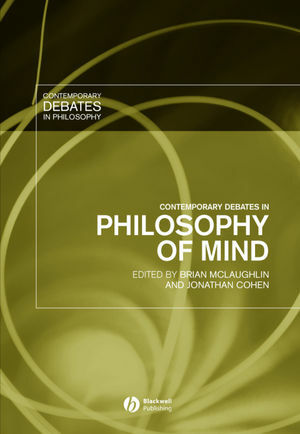 Contemporary Debates in Philosophy of Mind showcases the leading contributors to the field, debating the major questions in philosophy of mind today. Brian P. McLaughlin is Professor and Chair in the philosophy department at Rutgers University. He has published widely in philosophy of mind and cognitive science, and is the co-editor of the classic collection on the philosophy of Donald Davidson, Actions and Events: Perspectives on the Philosophy of Donald Davidson (Blackwell, 1988), editor of Dretske and His Critics (Blackwell, 1991) and the forthcoming Oxford Handbook of Philosophy of Mind. Jonathan Cohen is Associate Professor of Philosophy at the University of California, San Diego. He is the the author of numerous papers in philosophy of mind, philosophy of psychology, philosophy of language, metaphysics, and perception. Much of his recent work has focused on the metaphysics of color properties. 8 Are There Different Kinds of Content? "This book gives the reader a vivid sense of the philosophy of mind as a living activity. The chapters of this book provide an excellent introduction to ongoing debates about consciousness, intentionality, and physicalism. At the same time, many of the chapters make important contributions to the subject in their own right."